The year 2016 will be remembered as a time of the underdogs, with a host of once-in-a-generation feats across a number of sports. With the Rio Games taking place in Brazil, the Copa America in the United States, and Euro 2016 in France, it was an action-packed year of sport that has given 2017 a lot to live up to. Here are some of the best achievements of 2016 that suggest it may well be among the most memorable of sporting years. While 2016 may well be looked back on as the year of the underdog, no rags-to-riches story has quite the impact or shock value as Leicester City winning the English Premier League. Having just avoided relegation in 2014-15, even the most ardent of Foxes fans could not have imagined the contrast in fortunes the team would have the following season. 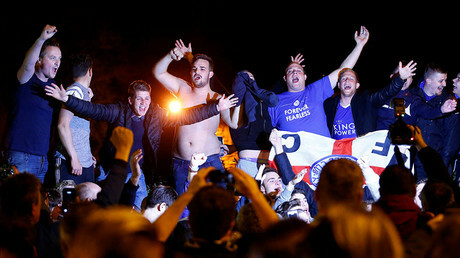 Pundits wrote Leicester off from the first kick of a ball until almost the season finale, but an unbreakable team spirit saw the King Power Stadium side crowned champions, with the Foxes losing only three games throughout a memorable campaign. Although Riyad Mahrez won the PFA Player of the Year award, Jamie Vardy become the poster boy for Leicester's success. A former non-league player, the England international's pace and penetration on the counter attack was relentless and the sprightly striker surpassed Ruud van Nistelrooy's record for goals in consecutive Premier League games. Just whether Leicester's 5,000-1 shock title success will ever be seen again remains a poignant question. 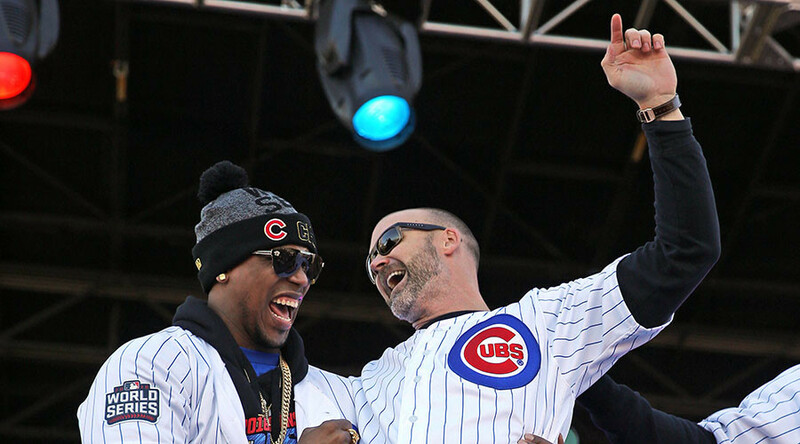 One of the most epic and thrilling feats in recent American sporting history took place in November, with the Chicago Cubs ending a 108-year drought to win Major League Baseball's World Series. The 8-7, 10-inning Game 7 victory over the Cleveland Indians will go down in history as a momentous moment for the sport, in a continuation of 2016's year of shocks. Cubs fans endured debilitating collapses at the last hurdle in 1969, 1984 and 2003, making 2016's nail-biting victory in Cleveland all the sweeter. With defending champions Golden State Warriors 3-1 up in the seven-game NBA finals series, it needed a minor miracle for the Cleveland Cavaliers to fight back and win glory. That miraculous feat was inspired by LeBron James, who put in two 41-point performances for the Cavaliers to tie the series at 3-3. The former Miami Heat superstar finished the job with a triple-double in the deciding clash, with talk that James is the best basketball player of all time getting louder. Pre-Olympics talk was of an opportunity for other sprinters to take Usain Bolt's crown, but the Jamaican speedster laughed in the face of this claim with another astonishing display in Brazil. Having won gold medals in the 100m, 200m and 4x100m relay in both Beijing and London, the world's fastest man continued the trend in Rio. Unrelenting showings in the 2016 Games landed Bolt the triple-triple and firmly etched his name in the record books as one of the greats. It looks likely that 2016 will be the last Olympics that the world sees Bolt compete in, with the Jamaican planning to retire in the next 12 months. New Zealand continued to dominate world rugby union in 2016, winning 13 of their 14 international tests. However, it will be the one game the All Blacks lost that is remembered for its significance. Ireland defeated New Zealand 40-29 in a roller-coaster clash in Chicago in November to end a 111-year wait for the men in green. It took 29 attempts for the Emerald Isle to beat their illustrious opponents and the celebrations were duly enjoyed by the mass of Irish fans. Novak Djokovic was the undoubted top dog in men’s tennis in 2015 but the silky Serbian met his match in 2016, in the form of Scotland's Andy Murray. For so long the world's second-best player, the Brit took the mantle as world number one after defeating Milos Raonic in the Wimbledon final and claiming gold at the Olympic Games. Djokovic's slump continued when he was beaten by nemesis Stan Wawrinka in the final of the US Open to round out a year that did not meet the 29-year-old's sky-high standards. An additional Copa America tournament in the United States to mark the 100th anniversary of the competition gave Lionel Messi another chance to win international silverware – and again the Argentine star fell at the last hurdle. Having lost out in the finals of the World Cup and Copa America in 2014 and 2015 respectively, this time Argentina lost out to Chile on penalties in the Copa 2016 final. Messi missed a spot-kick in the decider and announced his international retirement, before reconsidering and returning to the Albiceleste ranks later in the year. The 2018 World Cup in Russia will give the Barcelona attacker another chance to follow in the footsteps of Diego Maradona and lead the South American nation to glory. Competition hosts France were driven forward by the mercurial Antoine Griezmann and Manchester United's Paul Pogba, but in the end it was the relatively unknown Eder who won Euro 2016 for Portugal. The Lille striker had failed to make an impact in the Premier League for Swansea City in the season prior but slammed home an impressive long-range winner to give Fernando Santos' men glory in the European Championships. However, the underdog spirit of 2016 continued at the tournament, with competition minnows such as Albania, Northern Ireland and Wales all excelling. None will be remembered more fondly than Iceland though, with the tiny Nordic nation doing the unthinkable to beat England 2-1 in the last 16. With such stellar supporters backing the underdogs, Iceland fought back from conceding an early goal to beat Roy Hodgson's side in an unforgettable night in Nice. Conor McGregor is the undoubted poster child of the Ultimate Fighting Championship and the outspoken Irishman did his talking in the octagon after a shock defeat in early 2016. The Dublin-born fighter's move up the weight divisions to lightweight saw him face Nate Diaz in March, with the American shocking the world to defeat McGregor by submission. However, the 28-year-old Irishman exacted his revenge in August by defeating Diaz at UFC 202 and went on to become the UFC's first two-division champion by beating Eddie Alvarez at UFC 205. McGregor is taking a break from fighting as he awaits the birth of his first child, but the Irishman left a real impression in 2016. It seemed inevitable that it would happen but it took time to materialize, with Serena Williams winning her 22nd tennis major at Wimbledon in July to equal Steffi Graf's tally. The American star had agonisingly been beaten in the semi-finals of the US Open in late 2015 before losing the finals of the Australian and French Opens in 2016. However, Williams made no mistake at Wimbledon, defeating rising star Angelique Kerber 7-5, 6-3 to equal Graf's title haul. The 2016 Rio Games started with a splash in the swimming pool, with Michael Phelps' five gold medals propelling him to legendary status. The 31-year-old American's success took him to an astonishing 23 Olympic gold medals and he retired as the most-decorated swimmer in history. Phelps was almost outshone by compatriot Katie Ledecky, who claimed four gold medals and destroyed the competition in the process. While the 19-year-old winning the 200m and 400m was impressive, victory in a world-record time in the 800m was the American's highlight. While perennial rival Lionel Messi suffered international heartbreak with Argentina at the Copa America, Cristiano Ronaldo got one up on the Barcelona star by helping Portugal win Euro 2016. With both players included in the debate over the who the best player of all time is, the Real Madrid star's international triumph is a now a string to his bow that the South American cannot boast. The enduring image of Portugal's win in the final against France will be an injured Ronaldo encouraging his team from the touchline. With Real Madrid also winning the Champions League in 2015-16 due to the blistering attacker's goals, Ronaldo won the Ballon d'Or award in December for the fourth time – stripping Messi of the crown.